FRIGHTENED RABBIT-PAINTING OF A PANIC ATTACK-LIMITED EDITION VINYL VERSION. In a space of thirteen years, Frightened Rabbit have come a long way. Back in 2003, Scott Hutchison dawned the Frightened Rabbit moniker, and started playing small shows in his home town of Selkirk, in Scotland. Thirteen years later, and Frightened Rabbit are now signed to a major label, Atlantic Records. It released Frightened Rabbit’s recently released fifth album Painting Of A Panic Attack on various formats, including vinyl. There’s also a very limited that’s comes complete with a signed print. It’s a collectors item for fans of Frightened Rabbit. Their story began in Selkirk, Scotland. For the first couple of years, Frightened Rabbit were a familiar face on Scotland’s live scene. They knew the only way to build a following was by plating live. There were no short cuts. It also allowed the indie rockers to hone their sound. At their early shows, Frightened Rabbit gave out their email address, promising to send anyone who wanted one, a demo and even biscuits. 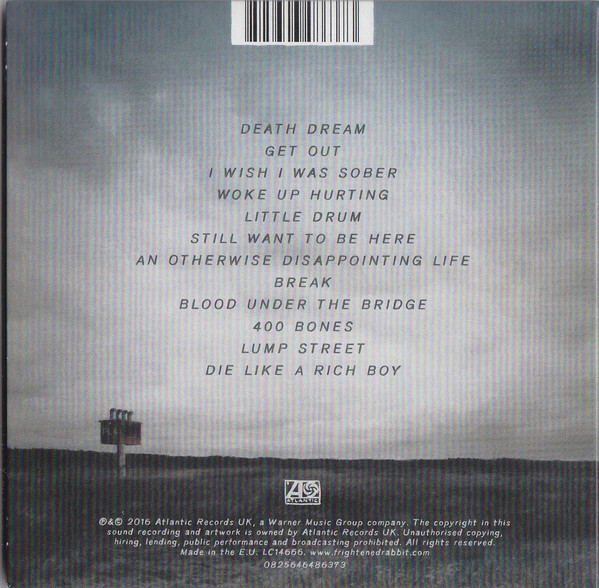 Death Dream opens Painting Of A Panic Attack, Straight away, there’s a wistful, melancholy sound as the piano plays. It’s joined by Chris’ vocal as he delivers the dark lyrics. They’re captivating, cinematic and rich in imagery. Listening to the lyrics, akin eavesdropping on someone reveals dreams, deepest fears or phobias, like, in this case, a panic attack. Strings and percussion augment the stark piano lead arrangement. Harmonies are added, as Chris sings call and response, delivering an emotive, soul-baring vocal. They result in a poignant and powerful song. Drums are joined by guitars on Get Out, as the track takes on an indie sound. At first, Chris’ vocal and the rest of the arrangement is understated. Then suddenly, it bursts into life. The volume increases and Frightened Rabbit head into anthem territory. Keyboards join the rhythm section and burst of searing, machine guitars. Together, they create a rocky anthem, that’s sure to become a favourite of Frightened Rabbit’s live shows. Drums crack as washes of synths play their part in Woke Up Hurting’s understated arrangement. Chris’ vocal has a similar understated sound. 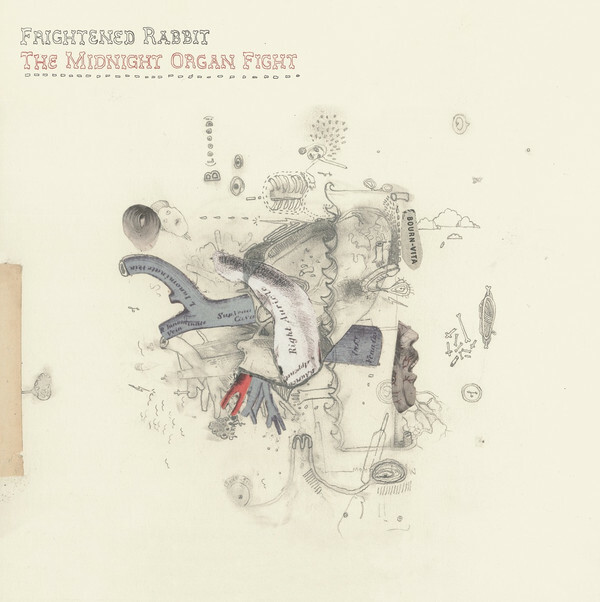 However, Frightened Rabbit pull a rabbit from their musical hat, as again, the arrangement explodes into life. This is similar to Get Out. 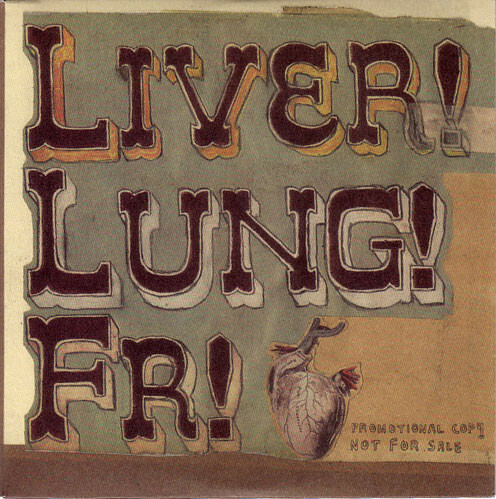 Another similarity is that Frightened Rabbit are heading into sing-a-long anthem territory. There’s even a nod to Big Country. Meanwhile, the rhythm section provide the heartbeat, while the guitar is played with speed and accuracy, and helps drive the arrangement along. As a hurt-filled Chris delivers the lyrics, harmonies accompany him on a memorable and melodic song. Cinematic describes the introduction to Little Drum. Distant synths, drums and horns combine, creating an almost industrial sound. Chris’ vocal is impassioned and heartfelt, while drums crack, horns bray and percussion clicks are joined by pizzicato strings. They play their part in what’s a much more experimental sounding arrangement. It’s as if Frightened Rabbit want to move in a new direction, and in doing so, showcase their versatility and creativity. Washes of synths play their part in Still Want To Be Here’s understated arrangement. By then, elements of electronica and folk have been combined. That’s until it literally explodes into life. An acoustic guitar, keyboards and rhythm section accompanying Chris’ tender vocal. From there, Frightened Rabbit veer between an underrated to rocky arrangement, on what’s a memorable and genre-melting song where poppy hooks are plentiful. It’s a strummed guitar and piano that open An Otherwise Disappointing Life. The piano drops out, as Chris’ is accompanied by the rhythm section, guitars and harmonies. Despair and disappointment fills Chris’ vocal, as the song heads into anthem territory. Chris’ vocal is carried above the rhythm section, searing guitars, as he reflects on what might have been. There’s no let up on Break. The rhythm section and scorching guitars accompany a powerhouse of a vocal. Just like many of the songs, emotive and soul-searching describes the vocal. Then when the tempo drops, chords are picked out on the piano. Soon, though Frightened Rabbit are back into anthem territory. They’ve an uncanny knack of writing memorable and catchy pop songs. Keyboards wheeze as drums thud on Blood Under The Bridge. Chris’ vocal is slow, deliberate as a bass bubbles. At any moment, one expects Frightened Rabbit to up the tempo. It does, still Frightened Rabbit are in ballad territory. This means that one focus on the Chris’ cerebral lyrics. With every album he seems to be maturing as a songwriter. Later, the vocal drops outm and the arrangement becomes slow and dreamy. When it returns, harmonies augment Chris’ vocal on what’s one of the highlights of Painting Of Panic Attack. 400 Bones starts life an understated piano lead ballad. Later, strings are added. That was all that was needed to create a beautiful song. However, Frightened Rabbit decided to add to the arrangement. Drums are added as the arrangement grows in power and drama. Guitars join the rhythm section as Frightened Rabbit transform this tender ballad into, what becomes a folk rock power ballad. Synths are to the fore on Lump Street, buzzing and droning as drums play. They add an atmospheric hue, as Chris delivers the vocal. He’s joined by the piano, rhythm section, guitars and ethereal harmonies. Constantly, Chris paints pictures about Lump Street. All the time drums pound, and create the heartbeat to this driving, cinematic anthem. Closing Painting Of A Panic Attack is Die Like A Rich Boy. Just an acoustic guitar and piano accompanies Chris’ cinematic lyrics. He sings of turning his life around and eventually, he can: “Die Like A Rich Boy.” Later strings are added, before the arrangement builds. It’s a mixture of power and drama, something that Frightened Rabbit have used several times on the album. 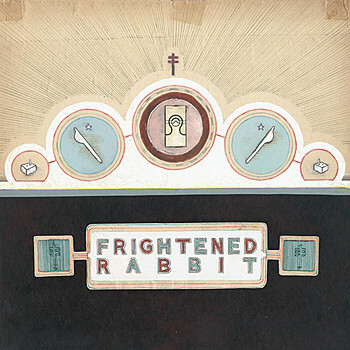 Frightened Rabbit unite and sing as the dark piano and guitars combine to create a poignant backdrop for the vocals. They give way to Chris, as he tenderly and wistfully delivers the lyrics to what’s another of Painting Of A Panic Attack’s highlights. rightened Rabbit have kept one of the best until last. 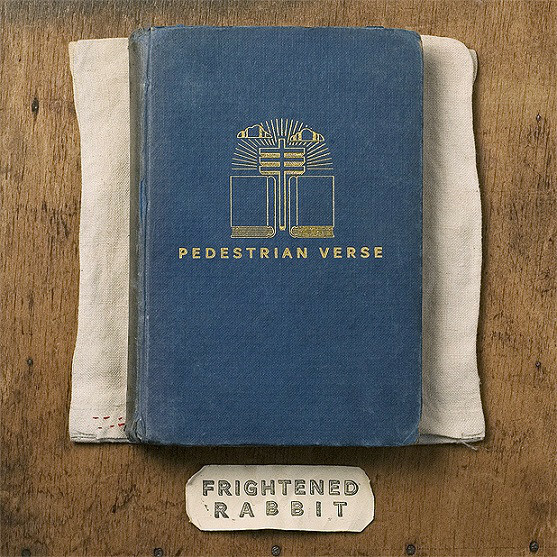 Three years after they released their previous album Pedestrian Verse, Glasgow based Frightened Rabbit returned recently with their fifth album Painting Of A Panic Attack on Atlantic Records. It’s available on CD, digital download and also vinyl. The mastering on the vinyl version ensures that the listener is able to hear the entire dynamic range. That’s not all, it’s a quite pressing, without the snap, crackle and pop that spoils some LPs. Not though, Painting Of A Panic Attack; where Frightened Rabbit combine anthems and ballads. Mostly, though, anthems are to the fore on Painting Of A Panic Attack. They’ve been doing a lot of that recently. That will continue to be the case. After all, Frightened Rabbit are well on their way to becoming one of the most successful current Scottish bands. That’s no wonder. While other bands spend years navel gazing, and bemoaning their lack of luck, Frightened Rabbit have not only made their own luck, but one of the best albums of their thirteen year career. 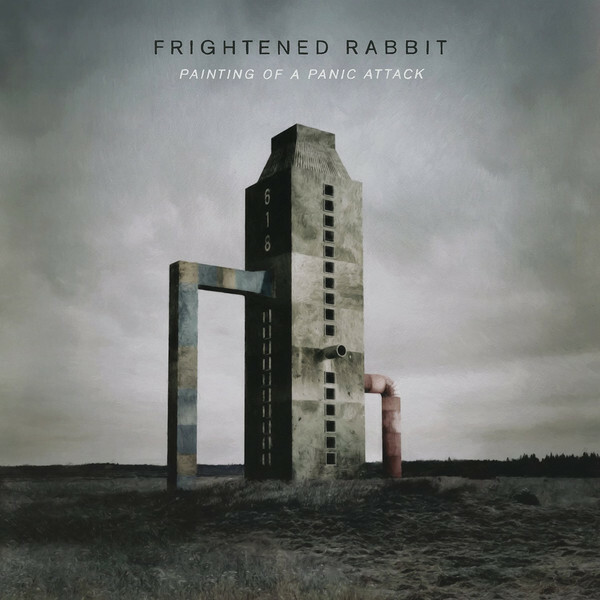 That album is Painting Of A Panic Attack, which is an assured and accomplished album from Frightened Rabbit who are equally comfortable delivering ballads as they are hook-laden anthems. 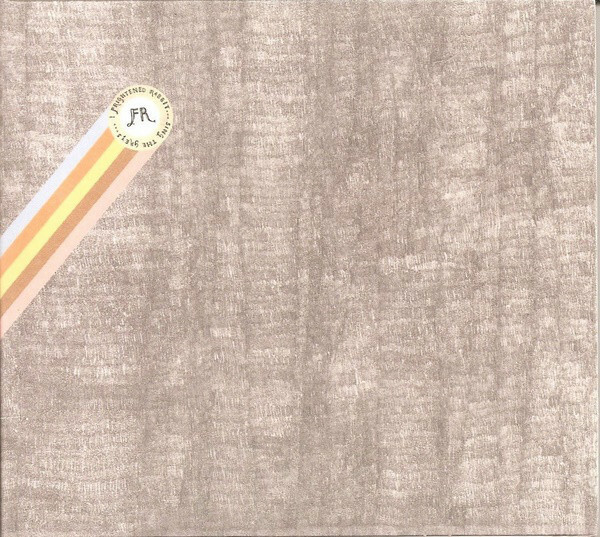 ← THE PICTISH TRAIL-FUTURE ECHOES-LIMITED EDITION VINYL VERSION.